I first looked at the Felder 531 Universal in F&C120 and have come back to it now as part of an on-going, long-term test. 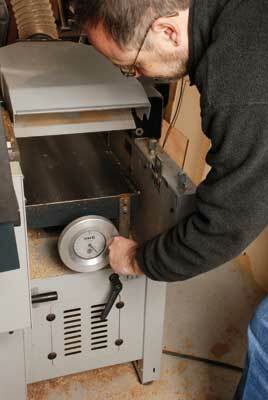 It has seen a great deal of use in the F&C workshop so it's worth revisiting the machine to see how it fares over time. The 531 combination machine from the 500 series is designed to fit in the Felder range as entry-level machinery above their Hammer range. Universals are by their very nature, a one-man machine so if this does not suit you, the 500 series has separates available as well. The build quality is very good. The main tables are crisply machined and the overall impression of the machine is of one that will last in a busy workshop. 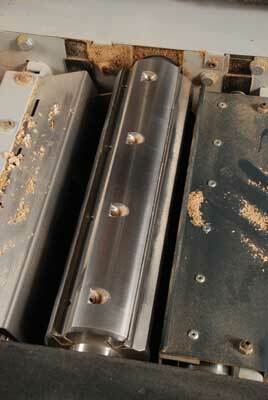 It is a hybrid machine in that it has parts that are used from both the Felder and the Hammer range. 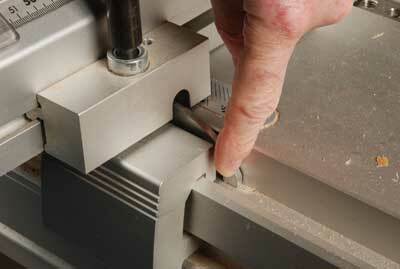 This means the internals are Hammer, and the tables, fences and spindle hood are Felder. The idea is to make it affordable but with some of the best of the more expensive range added. The 531 comes with the X-Roll table, which I have to admit to be one of the prime reasons why I like the Felder set-up. 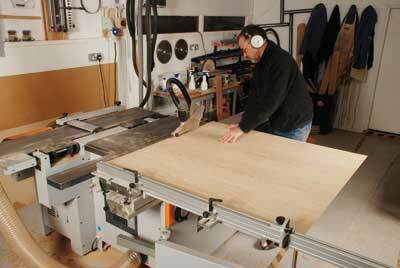 In crosscut mode, this is a lovely example - very precise and exactly what a furniture maker needs. 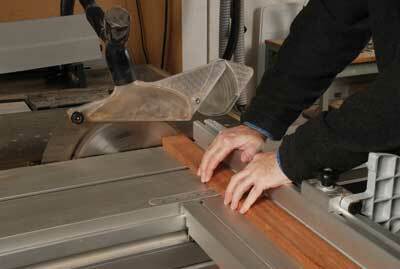 For a small shop you probably don't need the gantry undercarriage - a small extension is fine for most work. The fence has a 90 degree stop that flips down that is very accurate and easy to use. Of course one of the limitations of a universal is the ripping width - in order to get the maximum out of it you have to work across all the other tables. You need to remove the planer fence but this becomes your rip fence anyway. There is a bit of a no mans land between the saw table and the planer table, which can cause a problem if you are ripping something between 500-600mm (199/16-239/16in) - I would like to see this improved. 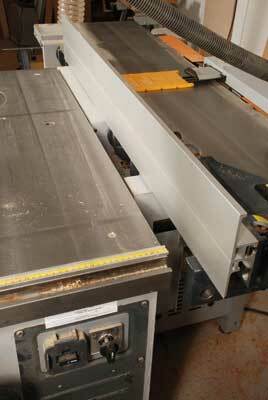 The cutting quality of the blades provided by Felder are very good and we had clean results every time. All you need to do is to make sure you use a rip blade for ripping and a crosscut blade for crosscutting, which you should do any way! The fence is good and heavy, which is great but bear in mind that as you only have the one fence, you have to lift it around a fair amount of the time. 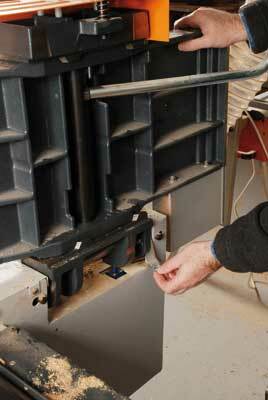 The fine adjuster is a nice set-up and works well. 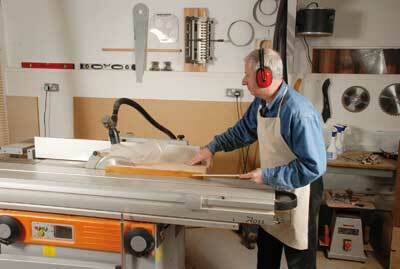 The planer has a four-knife cutter block with replaceable blades - the standard set-up is a two-knife block. This gives an excellent finish and is very easy to change and set up. The fence is a well-machined affair being very solid and heavy. The tables are heavy - models higher up the range are assisted by a parallel lift. This is one of the economies that make the 531 very competitively priced. The table works smoothly and we had the digital gauge on this model, which is one of the reasons why I like this machine. 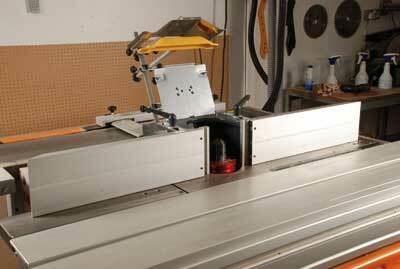 It works exceedingly well and really makes it a precision machine. Over the time we have had the 531, it has planed up acres of oak and other timbers with no complaints, and to a fine finish. 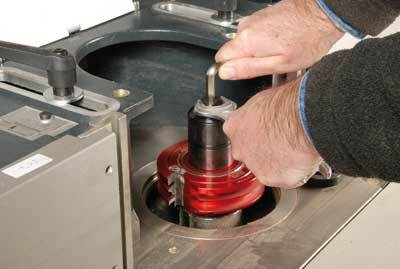 Again the spindle benefits from the Felder range, and has the fence and hood of its more expensive brothers. This set-up again is very good and has the added advantage of being repeatable via a set of pins and a neat fine adjuster, as well as the normal fence adjusters. 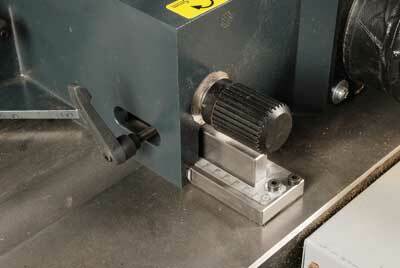 The spindle speeds are changed in the normal way via belts and pulleys. This model has a tilting spindle as well as reverse, and plenty of warning lights to remind you that you have it in reverse mode! 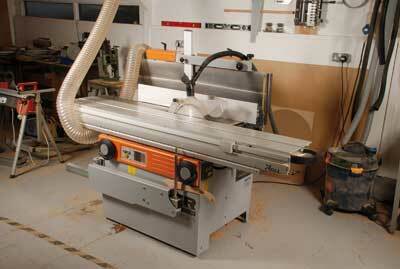 We have had the use of a Felder 531 universal for over six months now, and it has been a real workhorse and an asset. We have certainly given it a good tough working test and it has come out with flying colours. Overall, the 531 is an excellent machine. Given its limitations, simply because it is a universal, it will not suit everyone. There were one or two niggles that we have found over time but that was why we were keen to do this test. Happily, the Felder has very few vices. It is not a 741 - the flagship of the Felder fleet, which has everything on an even heavier scale - but as machinery for the individual workshop, the well-heeled amateur or professional, this machine really is hard to fault and has the thumbs up from me. "There were one or two niggles that we have found over time but that was why we were keen to do this test"